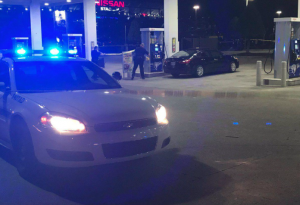 Attempted Carjacking at Nashville Gas Station leaves One Man Shot and Injured; Justice Available? Did negligent security contribute to this shooting and are justice and compensation available to the victim? No suspect has been identified according to the media outlets. Generally, property owners are required to protect all those legally on the premises from any foreseeable harm. 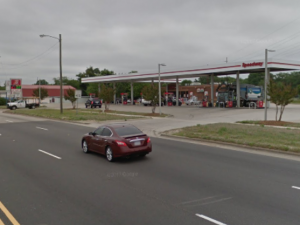 Should the facts of this matter reveal that the gas station owner failed to provide adequate security to protect those on its premises, the victim may seek justice and elect to pursue legal claims for his injuries. Destiny Dennis, 21, Killed in Jacksonville Gas Station Shooting; Preventable Tragedy? Did negligent security contribute to the senseless loss of this Little Rock mother and are justice and compensation available to Ms. Dennis’ family? 21-year-old Destiny Dennis was shot and killed during an apparent robbery at a Jacksonville gas station January 4, 2019. Ms. Dennis’ mother told First Coast News, her daughter was inside a car with her six-month-old child when “someone came to the car and was going to rob them.” Tragically, Ms. Dennis was fatally shot in the subsequent gunfire. 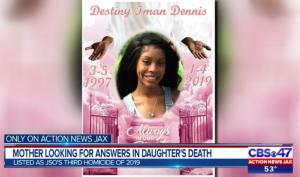 According to Action News JAX, Ms. Dennis “leaves behind nine brothers, and one sister, in addition to her daughter.” Her family is now searching for answers and justice. What security measures, such as bright lighting, monitored surveillance cameras, and visible security personnel, were in place to deter crime and protect Ms. Dennis at the time of the shooting? Generally, property owners are required to protect all those legally on the premises from any foreseeable harm. 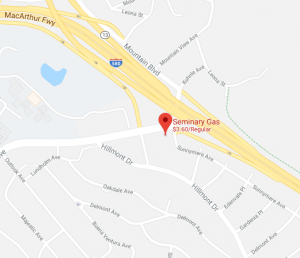 Should the facts of this matter reveal that the gas station owner failed to provide adequate security to protect those on its premises, Destiny Dennis’ family may seek justice and elect to pursue legal claims for their loss. 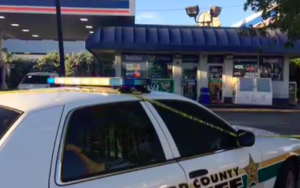 Man Shot, Robbed Outside Fort Lauderdale Gas Station; Security Failure? 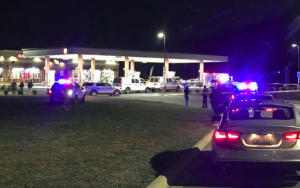 Did a security failure contribute to this senseless Fort Lauderdale gas station shooting and are justice and compensation available to the victim? A man was shot during an attempted robbery “at the Marathon gas station at 3090 W. Sunrise Blvd.,” Thursday morning, August 23, 2018, according to the Sun-Sentinel. Did negligent security contribute to this Fort Lauderdale gas station shooting? We represent individuals and families who have suffered a tragic loss or injury as a consequence of negligent property security. Read Our Legal Take below to find out if the victim may have a legal avenue for justice and claims for substantial compensation in Florida, or call now for a free consultation with our legal team: 888.842.1616. What security measures, such as clear windows, surveillance cameras, bright lighting, and security patrols, were in place to deter crime and protect the victim at the time of the shooting? 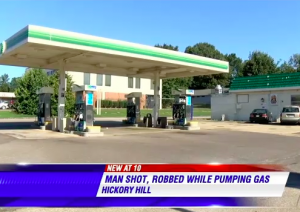 Media reports indicate the suspect was seen hiding behind a pump prior to the robbery-shooting. Were efforts made to call police prior to the attack? Adnes Bronson, 19, Killed in Pine Hills Gas Station Shooting; Compensation and Justice Available to Family? Could the tragic loss of this young man have been prevented, and is compensation and justice available? 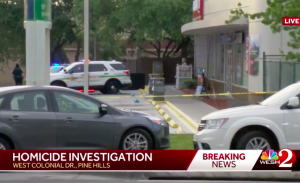 Gunfire broke out at a Pine Hills gas station Wednesday morning, June 6, 2018, claiming the life of 19-year-old Adnes Bronson. According to WESH 2, Mr. Bronson “was at the the a Circle K gas station on West Colonial Drive near North Powers Drive around 3:30 a.m.” when the shooting occurred. Tragically, he succumbed to fatal injuries. Did negligent security contribute to this senseless loss of life? We represent individuals and families who have suffered a tragic loss or injury as a consequence of negligent property security. Read Our Legal Take below to find out if Mr. Bronson’s family may have a legal avenue for justice and claims for substantial compensation in Florida, or call now for a free consultation with our legal team: 888.842.1616. What security measures, such as clear windows, bright lighting, surveillance cameras, and security patrols, were in place to protect patrons and deter crime at the time of the shooting? Generally, property owners are required to protect all those legally on the premises from any foreseeable harm. 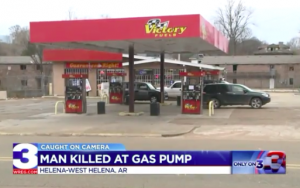 Should the facts of this matter reveal that the gas station owner or management failed to provide adequate security to protect those on its premises, the family of Adnes Bronson may seek justice and elect to pursue legal claims his wrongful death.